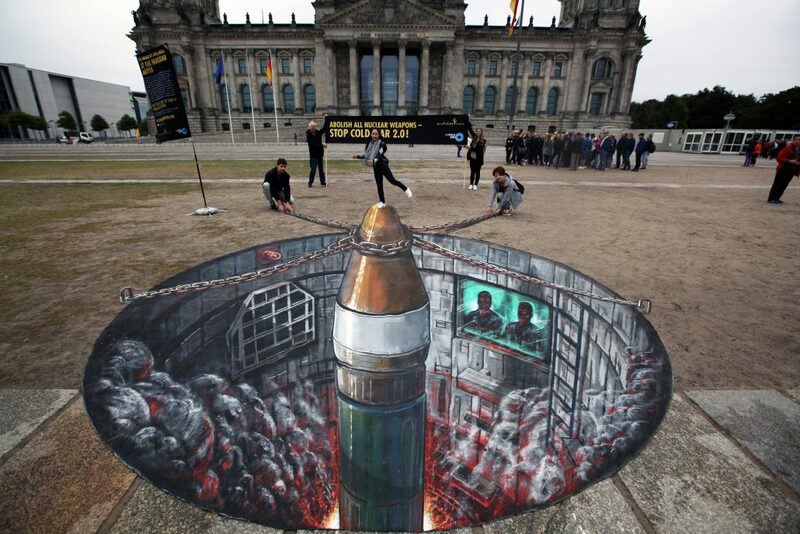 From October 1-3, a three-dimensional street painting of a nuclear missile being fired from the ground was unveiled next to the German Parliament. The art project occurred in conjunction with the opening of an international conference Disarm! For a Climate of Peace – Creating an Action Agenda. The installation was part of Chain Reaction 2016, a series of nuclear disarmament actions around the world between July 8 and October 2 this year. 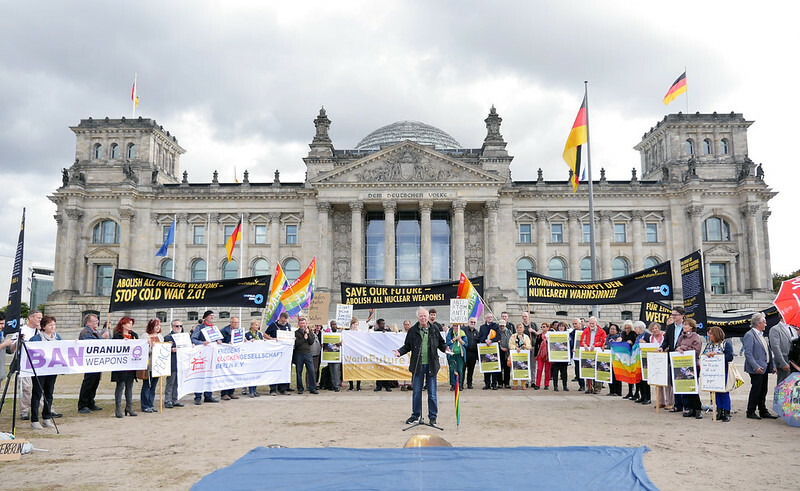 The art installation was unveiled as over 1000 peace activists from around the world gathered in Berlin for the world congress of the International Peace Bureau (IPB), an organization of which 13 officials have received the Nobel Peace Prize during its history.